I’m sure you’ve heard about oil pulling by now. You may have even tried it, though you were skeptical, but does it really give you the health benefits it claims to? 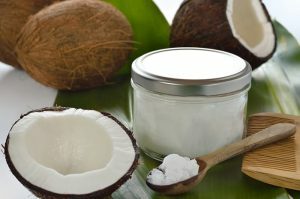 In case you haven’t heard, oil pulling involves swishing approximately one tablespoon of coconut oil around in your mouth for about 20 minutes. As the oil hits your teeth and gums, microbes are picked up and drawn to the oil. Bacteria hiding under crevices in the gums and in pores within the teeth are sucked out of their hiding places and held firmly in the solution. After the 20 minutes is finished, the oil is spit into the trash and you should rinse your mouth well with water. According to “oil pulling regulars”, the process has helped whiten their teeth, prevent halitosis, and even reduce gingivitis. Although it does not replace regular dental checkups and cleanings, you may begin enjoying your checkups more because you’ll be getting really good reports from your dentist. Put 1-2 teaspoons of oil into the mouth. The oil traditionally used in oil pulling is organic sesame oil, and this is also the oil that has been the most studied for use in oil pulling. It is also possible to do oil pulling with organic coconut oil. Swish for 20 minutes. At first, it can be difficult to make it the full 20 minutes, so you may want to begin with 5-10 minutes. Spit oil into the trash can, not the sink. The oil may thicken and clog pipes. Also, do not swallow the oil as it is hopefully full of bacteria and toxins. Rinse well with warm water. Some sources recommend swishing with warm salt water. For your convenience, our offices are open seven days a week. We accept walk-ins and offer affordable care and financing options.